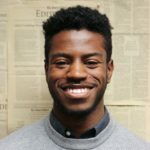 Ben Palmer (18Ox, 20C) and Zion Kidd (21B) will compete in a runoff election to become the next Student Government Association (SGA) president, according to election results released by Elections Board Chair Justin Cohen (20C). In the race for SGA president, Palmer earned 860 votes (48.23 percent), Kidd earned 440 votes (24.67 percent) and Steele Quinard (18Ox, 20B) earned 166 votes (9.31 percent). Since no candidate received more than 50 percent of votes, the two candidates who received the highest number of votes will face each other in a runoff election, according to the Code of Elections. Lori Steffel (21B) was elected SGA executive vice president and Jacob Hicks (18Ox, 20C) was elected College Council (CC) president. Both candidates ran unopposed. 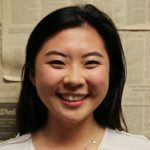 Catherine Xu (18Ox, 20B) was elected BBA Council president with 182 votes (63.64 percent), over Trong Bui (20B) with 48 votes (16.78 percent). Fifty-six people voted no confidence (19.58 percent). In her platform, Xu addresses BBA club inclusivity and plans to develop new guidelines that offer BBA students the opportunity to participate in some exclusive club events. She also hopes to further expand the BBA-MBA Mentorship Program. Voting began Wednesday at 8 p.m. and concluded Friday at 8 p.m. A total of 1,783 students cast votes in the SGA presidential race. After the results were released, Palmer said in an interview with the Wheel that he hopes the people who voted for him will turn out again for the runoff. 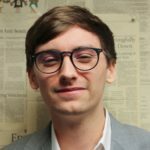 Kidd wrote in an email to the Wheel that he is looking forward to the runoff, which will allow students to draw clear comparisons between candidates to cast an informed vote. “Regardless of who wins, that public trust is what’s most important, particularly given the turbulence of the last year,” Kidd wrote. The election had several voting access issues during initial stages of voting, Cohen said. Some freshmen were initially unable to vote, and for many students, Microsoft Outlook marked an email containing the link to the online ballot as spam. Cohen said the Elections Board considered extending the voting period because of the voting issues but ultimately decided against doing so. Some of the issues stemmed from SGA’s update from OrgSync to a newer and untested voting system, Engage. Cohen said the Elections Board wasn’t responsible for the decision to update. Freshmen who had not previously used OrgSync were initially unable to vote on the ballot through Engage because their Emory network IDs and email addresses were not connected to the new platform, according to Cohen. The email with the external link to the online ballot appeared on Outlook as spam. The Elections Board does not know how many people received the email in their junk folder. The morning after the Elections Board sent the email, Cohen said he posted flyers around campus to inform students about the voting period. The flyers had a QR code containing the link to the ballot. On this year’s ballots, voters self-selected their class to receive a ballot with the correct races. Previously, voters received a ballot that contained all of the elections they were eligible to vote in.